The number of Invitations to Apply (ITAs) issued to Express Entry candidates for immigration to Canada has increased to 1,000 in the latest draw from the pool, which took place on September 7, 2016. In addition, the number of Comprehensive Ranking System (CRS) points required in order for a candidate to receive an ITA decreased substantially, compared to the previous draw, from 538 to 491. Until this week’s draw, the number of ITAs issued in any one draw had not reached the 1,000 mark since April, 2016. The previous draw, which took place on August 24, saw 750 ITAs issued to candidates. Candidates who have been issued an ITA have 60 days to submit an application for Canadian permanent residence, from which point the government of Canada aims to process the application within six months. 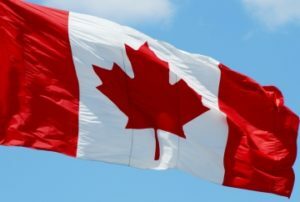 Accompanying family members, including spouses or common-law partners, as well as dependent children, may also immigrate to Canada along with the principal applicant. With the number of ITAs having increased and the CRS cut-off point going down substantially, many candidates who did not receive an ITA on this occasion remain optimistic about achieving their Canadian immigration goals. The increase in the number of ITAs issued in the September 7 draw may reflect a desire on the part of Immigration, Refugees and Citizenship Canada (IRCC) to issue more invitations through the fall season in order to reach annual target intake levels. An IRCC representative, speaking at an event held in May of this year, made comments to that effect, and it is quite possible that we are now seeing the beginning of an increase in the number of ITAs issued per draw. Other things being equal, this should have the corresponding effect of the CRS cut-off point coming down. According to the government of Canada’s year-end 2015 Express Entry report, 57 percent of candidates who received an ITA in 2015 had Core CRS scores of less than 450 (the lowest CRS point requirement of in any Express Entry draw that has taken place so far is 450). Core CRS indicates a candidate’s score without the additional 600 points for a job offer or an enhanced provincial nomination certificate. Many of these selected candidates entered the pool and subsequently received an enhanced provincial nomination certificate from a Canadian province. Since Express Entry was first introduced in January, 2015, more and more Provincial Nominee Program (PNP) options have become available to Express Entry candidates. With many of these PNP streams opening and closing quickly, evidence suggests that being ready to apply for such opportunities in advance is key to ultimately receiving an ITA for permanent residence. “In the short, medium and long terms, individuals around the world who wish to immigrate to Canada have every reason to be optimistic,” says Attorney David Cohen. “First, the latest Express Entry draw has seen an increase of exactly one third in the number of Invitations to Apply issued, compared with the previous draw. It had been many months since a thousand or more invitations were issued in any one draw, and, following earlier remarks made by IRCC, there may well be a gradual increase in the number of invitations issued over subsequent draws. To find out if you are eligible for immigration to Canada, including through the federal economic programs that are processed under Express Entry, please fill out a free online assessment today. My wife and daughter leave in Canada Calgary more than 3 years. I leaved in Canada and did not complete the 730 days and only completed 500 days by the time I came back to Dubai since I lost my job in Canada. I have applied for a travel documents to return to Canada and it’s been 6 months I have not received any information from Canadian embassy from Abu Dhabi where I have applied. Can your wife sponsor you? If she can’t wait for your daughter to reach 18 and if you can prove that she is, get her to sponsor you. Does an applicant have to do IELTS before receiving Invition to Apply? I have completed an IELTS I’m quite sure it’s essential. Or it’s French equivalent. As per my knowledge, IELTS scores are valid for 2 years. If those 2 years are completing anytime soon before getting ITA, you and your dependents (if any) have to appear for IELTS exam. I have an express entry application in process and it says I have met Federal worker but my score is only 372. Is there anything I can do to improve that. I did complete my IELT as well as I have a WES evalution and all of this is included in my profile but my score is still very low. My occupation is 7032- Secondary School teacher. Any advise as to how I can improve my express entry profile will be greatly appreciated. I lived in Canada for 2 years on work permit. My spouse have applied for express entry and the CRS points are around 420. We are back to home country now. We dont reside in Canada anymore. Is there a possiblity to get ITA in sometime recently? Or is there a way to increase our points? Is the language requirement changed recently. Do you actually mean that the entire immigration process + IELTS exams will take exactly six (6) months? And after six (6) months one will be eligible to migrate to Canada if (s)he passes the exams. The existing express entry system is heavily weighted in favour of those having job offer or PNP and ignoring the core human capital score as well as canadian experience class. This is indicated by 57% ITA with pnp or job offer but crs below 450. Dont know how long this wisdom will last. It is bizarre to see that candidates with low crs score are getting 600 points. Only reasonable explanation is that Provinces lack of labor in certain industries and that by giving PRs to candidates who stated in their applications interest in such industries, shortage of that very same labor gets fulfilled. Smart plan but only if you can force them to stay in those industries for a long time. Otherwise they will all go to Ontario in few months. There is no legislation in Canada that can force people to work in areas that Province needs. Good day thank you for the news, I really appreciate . Please how can i apply for canada visa. Hopefully , They will think first for Tax payer or people who already have Canadian education and work experience. This was somewhat interesting however how would we know which provinces are the best, friendliest, warmest, safest, highest paying, most artistic, most culturally entertaining etc. Its very difficult to ascertain this information via the internet and Canada is huge. How can I determine what province, city, island, region of Canada is best for me? Thanks for the news , how can I get invitation for a Canadian visa. Dear Sir, I have received some mails in which they offered job based entry in canada and stated IELTs is not reuired. I want to confirm it is right. Kindly clear my doubt and if any chance to enter inside the canada without IELTs, tell me.Someone says that there are 3000 vacancy for skilled workers without IELTs. Never trust such offers. These are usually scam. They’ll take money from you and vanish. To be able to enter Canada as a skilled worker, you must demonstrate your ability of at least one of the two official languages of Canada (English and French). This is done through IELTS or the equivalent French language tests. It is great to see an increase of ITAs issued. We all hope that this will continue to go up. However, I am still disappointed to see that Government is issuing PNPs to candidates with score under 450 and completely neglect candidates who have between 450 and 480 CRS points for over 6 months, now. Not everyone can apply for PNP because they are closed in most of the provinces and the length of our working visas does not allow us to apply for it. And, at the end, if somebody in Government think that candidates who chose a certain stream/industry in order to get PNP/600 points will remain in that industry until the end of their lives only because Province has shortage of those, is surely mistaken. In other words, candidates choose industry in order to get invited, after they get PR they search for easier jobs that pay better. Think about it CIC. My suggestion is to cut that PNP program completely, continue with a single pool and invite best out of best. Like it or not, immigrants are not coming to Canada in order to be farmers in Manitoba nor to work on oil rigs in Alberta. That’s absolutely correct! In my personal view people making these policies are only looking at the bright side of it and ignoring that there is a 100% chance that people working at oil rigs in Alberta will be coming to Ontario. Another point which I think is going on those peoples head regarding promoting PNP is that, it will generate some revenue for the government as their target is to bring immigrants and why not earn revenue (They are not looking for skilled manpowers) if there is a chance as people with CRS points of 450 or less would be willing to pay as most of them knows that their probability to increase their points is very less. For Eg: I received an ITA from government of Ontario when my CRS point was 403. I ignored it because I was sure to get points above 460 because of the increase in my IELTS score. I had to pay $1500 to Ontario Province for processing my document and and again the required fees to CIC for the Visa. I ignored that and now here i am waiting with 466 points for the point to be required. Hi Anup, did ON pick you from pool or did you apply to them as well in addition to creating express entry profile. Could you pl explain the process. Thanks for your time. Can a refused application under family class effect a new application for Work permit or Express Entry? how do i got the visa please? How can I apply for Canadian visa from Nigeria.Am a fashion designer like to visit. Visit the canada website and fill the necessary forms for a visitor’s visa called Temporary Resident Visa (TRV). Follow the instructions and submit all your documents at the nearest visa processing agency. In Lagos you visit Etiebet’s place at ikeja. My name is ……………. i am from Eleppo, Syria. I am married and i have four children, two of them are baby girls twins and i have a girl and a boy under 10. I am in tanzania, dar es salaam since the syrian crisis started. I was working in a plastic company called Okplast Ltd. I am a plastic extruder technician. Now things at work here went bad and i was suspended and even my work permit is finishing soon and i have no place to go because my house in Eleppo has been destroyed and i dont have even money to reach there. I am barely feeding my family from charitable help here and there. I am still in Dar es Salaam till now. Please i am kindly requesting for your help to accept me as a refugee on Asylum basis and i am ready to work there as i dont to be a burden on you but i need protection and shelter for my family please. I am submitting my letter to you and i hope you help my family please. I can provide you with all needed documents to confirm all what i have told you. You sure have case brother, look for an Immigration lawyer in canada to assist you. I’ve applied for Permanent Resident with 2 dependants(husband and daughter), and still waiting for the approval but it’s frustrating to wait since I don’t know what stage is my application now since the processing time is now 49 months. Wondering if I’m eligible to apply under the Express Entry? Do I need to start the whole process of applying again? I just want my family to be reunited again and will do every good way to bring them here before the end of this year (coz that’s what I promised to my daughter last year – coz I believe in Canada’s high value for family being together and are making ways for family to be reunited in efficient ways). Hoping for your positive response. Thank you very much! Before a candidate in express entry federal skilled worker must be invited to apply for PR Canada he or She must meet the requirement by entering into the pool with other qualified Canadidate and then be ranked according to the CRS Points and will then Select the highest ranked Candidate and ITAS will be Issue to the Candidate. And before aiming high CRS point you must have a valid job offer or PNP and IELTS must be taken. Express entry programm is the best way to immigrate to Canada as well. Good day I just want to ask if I’m eligible to apply to express entry i’ve been working quesnel bc for one year then I decide to go back to philippines due some family reason now I want to apply together with my family I have 1 daughter 11 years old I’m graduate 2 years course associate computer science but I have 18 years experience restaurant manager Mcdonalds Philippines 1 yr swing manager quesnel bc canada at Mcdonalds and 8 month restaurant supervisor at Alenna doha qatar. I want to get immigration of Canada .kindly help me in this regard thanks . I have CRS score of 466. What are my chances getting an ITA??? Should I try for PNP or wait for IRCC to reduce the point? Anyone with any ideas or suggestions??? There is not job offer for International Nurses in canada . Why are you keep this category in Express Entry. Please open a new scheme for International Nurses. Please tell how many International Nurses have been got the Job offer in this Express Entry ? Can you give visa to drivers or who work of sales. My wife and myself applied for residence through the express entry program but only got less than 400 points. Your article says about nurses being in high demand yet my wife had to leave her position as a registered nurse in Alberta due to the fact she couldn’t get an Lmia. The hospital she working in tried their hardest to keep her but to no avail, I am a British heavy duty mechanic although not canadian qualified. Is there other ways to up our scores? if I wish to make application for Canada immigration. Dear sir/ madam, I wish to live in Canada as it’s country that support people and people have right to speak out what they want, especially, lifestyle is better than our country. Thus, May I get recommendation pleas. Look forward to hearing your feedback as soon as possible. Can anybody tell me how Can I get a job in canada. I am working as a IT Instructor and in the middle of express entry process. My CRS points are 366. Sir I wish am coming to Canada but how coming I? What is the next step after noting that you qualify? wale is my name Reside in Nigeria I have degree in mass communication and I have been a driver in a bank for the past 6 years, am married with two kids. I have interest in coming to Canada as it has being my greatest dream to migrate to Canada and work there, how can you help me sir and any documents that may be require ll definitely be provide Sir. What is the minimum requirement of IELTS score to apply for Express entry? In one of the band reading my score is only 5.5 whereas in others it is beyond 6. I had filled Canadian assessment form twice. I would like to study and work in Canada with wife. The existing system may be suiting to the govt. but fact remains that there are those who are again better and well qualified and experienced too but got overage in the process of present criteria. Means small vacancies released frequently allows only a particular segment because of age marks. Can this be reviewed? Aspirants left over in the past because of a decision to scrap all outstanding list and declare no backlog. Yes any loggerhead can approve this way of clearance backlog. I think criteria be modified to an extant all those left over be given suitable representation once at least so that they may fulfil their desire after complying the requisites. I hope if it is represented there is ever reason that any prudent person can think positive and devise a way to accommodate all those who are intelligent covering conditions but for age which is now resulting in reducing the numbers and eligibility too. I would like to write you to inform me whether have chances to get an ITA if not how can i or what are the apporoaches or avenues toget it. Hi good day, I just want to know about CRS points. If ever the application is on EOI stage and got a low rank is there any possible way how to be included in the draws. I meant how can increase the points.is there a possibility if it re take ielts? How can it be if it’s already submitted the papers? As per my understanding that if the application is submitted to the authority they cannot add any document, unless it will advise by the authority. Please enlighten me and correct me if I am wrong.Thank you very much. Je vous remercie monsieur,énormément, et j’avoue que c’etait un desire d’immigrer et vivre une autre expérience professionnelle au Canada et culturelle.bref je suis un technicien en télécommunication et j’aimerai immigrer et je pense a la résidence permanente.être naïf si on pense a l’nnovance dans le tirer monde.my best regards. I am 69 years of age unmarried with no children and presently residing in New Delhi, India. I am self employed, working independently as a Realtor. I visited Canada last year and stayed for over five months with my brother and his family. My brother, his wife and both their grown up unmarried children, a daughter and a son are Canadian Citizens. The son is staying with my brother whereas the daughter has recently moved to BC and needs someone to help her in her daily chores. I have a net asset of approximately CDN $ 1,400,000.00 ($ 1.4 million). I am interested to migrate to Canada as I am emotionally very attached only to my younger brother and his family. I stayed and worked together with my younger brother all through my life and once again would like to join with them. I visited Canada last year and stayed for over five months with my brother and his family. Again I shall be visiting him next month. My brother, his wife and both their grown up unmarried children, a daughter and a son are Canadian Citizens. The son is staying with my brother whereas the daughter has recently moved to BC and needs someone to help her in her daily chores. Please let me know if I could be eligible for immigration anywhere to Canada under any Category. I wanna immigrate asap to canada, I’m 22 years old, algerian student I have a licence degree at staps (sports sciences and education), how much all steps costs and am I welcome ?? Am interested in working and living in Canada, how do I go about it. Je vous remercie monsieur,énormément, et j’avoue que c’etait un désire d’immigrer et vivre une autre expérience professionnelle au Canada et culturelle.bref je suis un Ingénierie en travaux publique et j’aimerai immigrer et je pense a la résidence permanente. There is no clarity or transparency about the express entry process. This is the 2nd year and still there’s no news on whether the six months deadline has been met. It’s like sending your documents into an unending abyss. Our application has been stuck on background check for 5 months and we’re about to complete our 6-month deadline. Absolutely no way of knowing where the process is. Have had to give up an opportunity to represent Canada at an international conference because the current permit expires (just renewed) and TRV won’t come in time to apply for the relevant visa required to go to Europe. Very disappointing. Hi, I sincerely ask u how the process I complete my immigration for live in Canada. My wife and l was completed post graduates. please give me information.